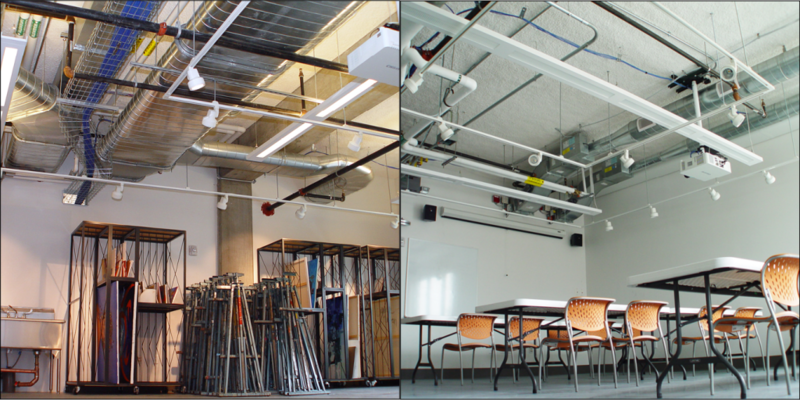 SonaSpray “fc” and SonaKrete provide effective acoustic control at Lunder Arts Center in Cambridge, MA. 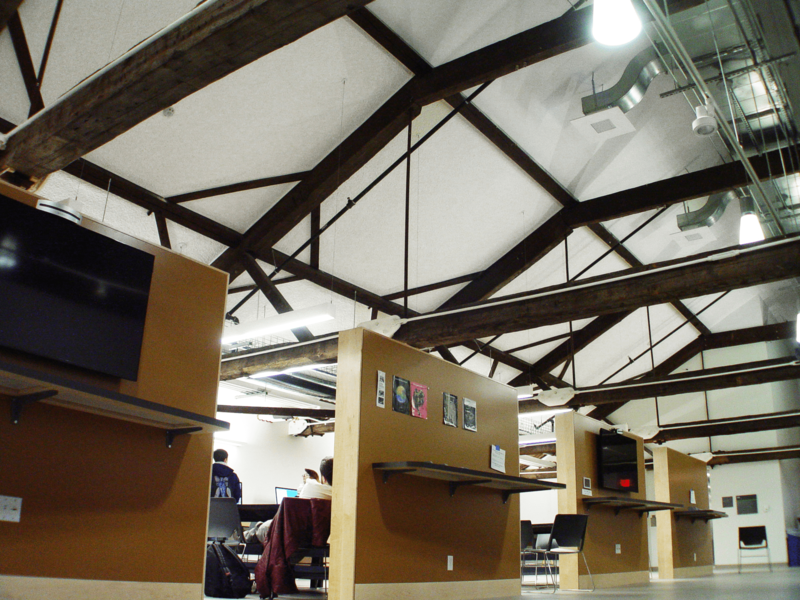 Lunder Arts Center is the new home of Lesley University’s College of Art & Design. 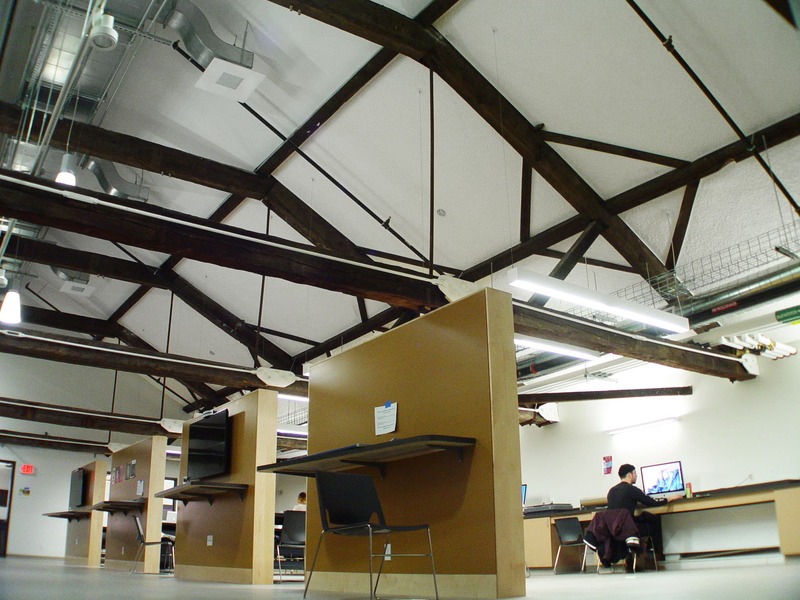 The center consist of a new, four story, contemporary structure, connected to a 170 year old Historic Church, repurposed to house the Moriarty Arts Library and provide expanded studio space. 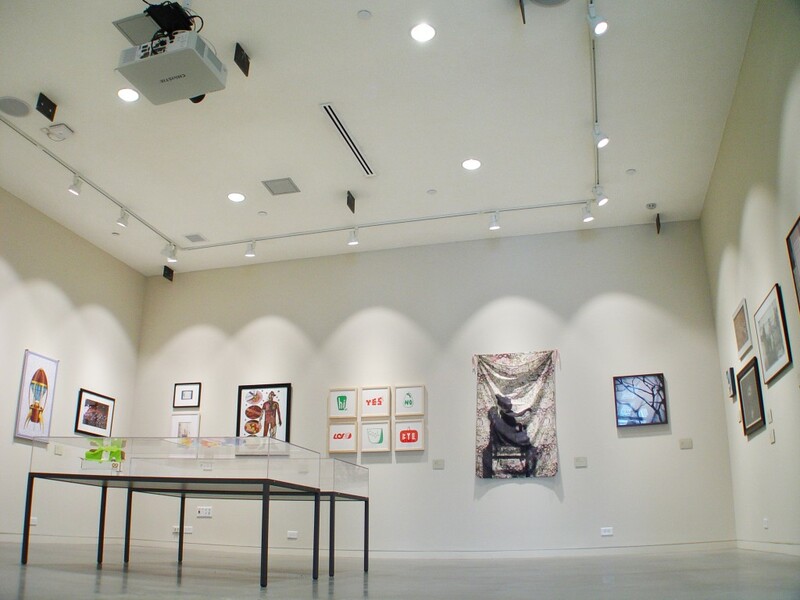 The center features state-of-the-art studios, classrooms, workshops, and darkrooms, and includes expansive gallery space for students to showcase their work. The Center was designed by Cambridge, MA based firm Bruner Cott & Associates, who has extensive experience in Preservation/ Adaptive Reuse Projects, Education and Art Related Facilities. 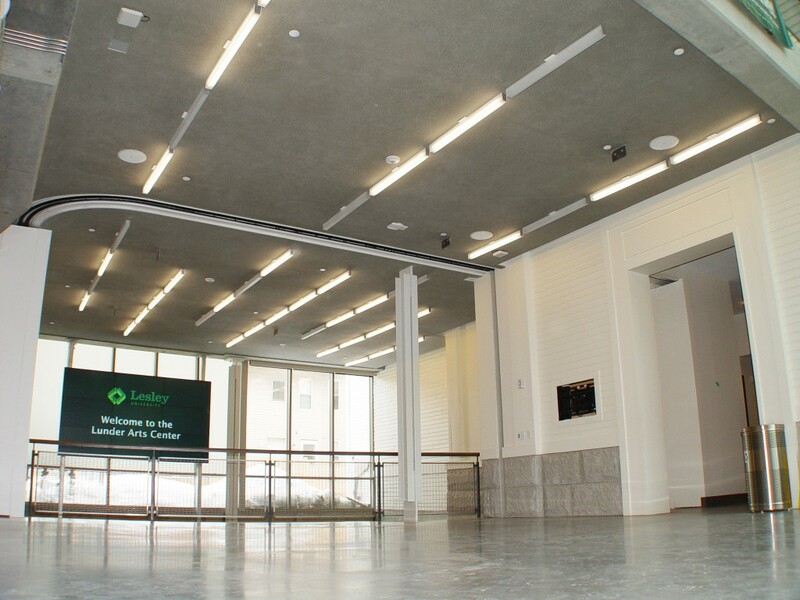 Lunder Arts Center is the first of Lesley’s buildings designed to meet LEED Gold standards for sustainability. 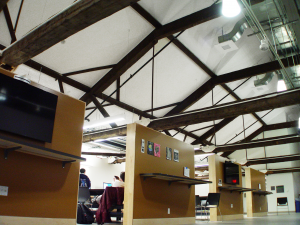 To address the need for Acoustic Performance- essential to Indoor Environmental Quality, SonaSpray “fc” and SonaKrete were utilized for the Lobby, Gallery, and Workspace Areas. Unlike hard surfaces and materials, which reflect sound, these finishes absorb excessive noise; making speech and music more intelligible while enhancing overall sound quality. Both treatments provide the space with optimal acoustic control while complimenting the hard lines, and design objectives. SonaSpray “fc” and SonaKrete were produced in custom matched, integral colors, to artfully mimic the look of concrete. SonaSpray “fc” and SonaKrete are Class 1 Class A Rated per ASTM E 84/ UL 723, and are approved exposed finishes, requiring no additional coatings. Both products were spray-applied to the Poured in Place Concrete in the new building. This removed the need for excess treatment at the base of the construction. An additional application of SonaSpray “fc” in White was utilized for the adaptive reuse project of the Historic Church. Spray-applied to a minimum thickness of 1”, SonaSpray “fc” provides a Noise Reduction Coefficient of 0.90, without distracting from the Cathedral Ceiling and original timber frame. In addition to acoustic performance, the application provides high light reflectance, which helps to enhance lighting in the study areas.